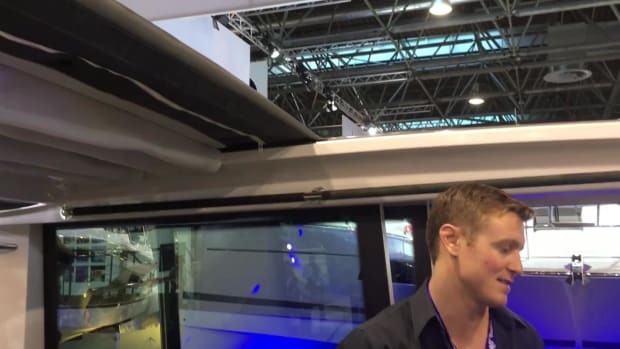 What's behind curtain number one at boot Düsseldorf!? 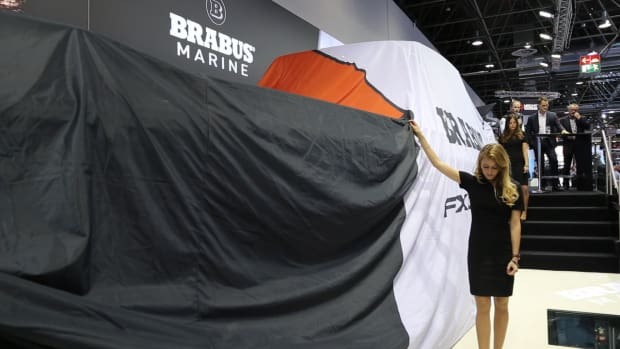 It's the limited edition Brabus 500 Shadow. 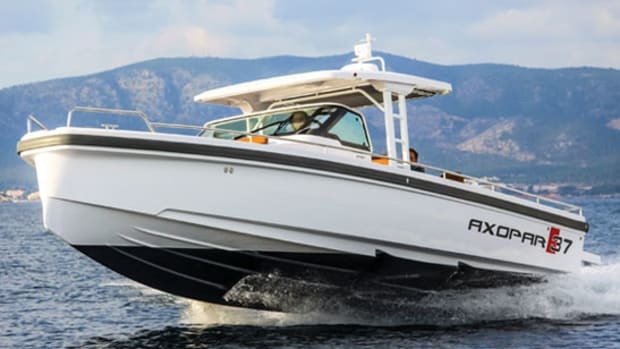 Powered by twin 250-hp Mercury racing outboards, this highly custom center console was born to perform. Look for her to come stateside this summer. Two steps, two chines and lots of classy patrol-boat style. The new Axopar Brabus speedster leaves us suitably impressed. VIDEO: Join Capt. 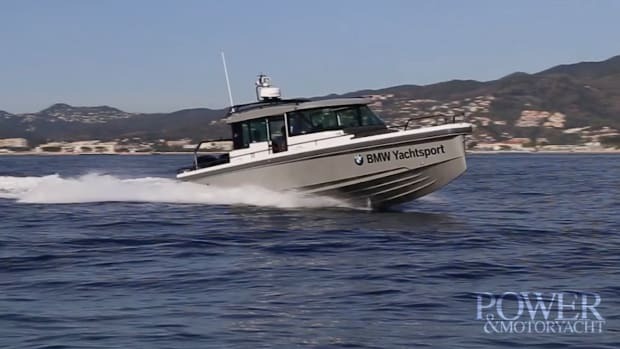 Bill Pike as he tests the Axopar Brabus Shadow 800 in the Bay of Cannes. 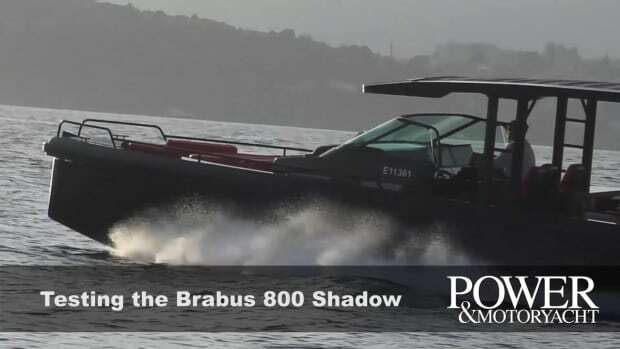 The Brabus Shadow 800 is a specialized Axopar that exudes cool everywhere you look. If you’re interested in one for yourself you better act fast, only 20 will be built. 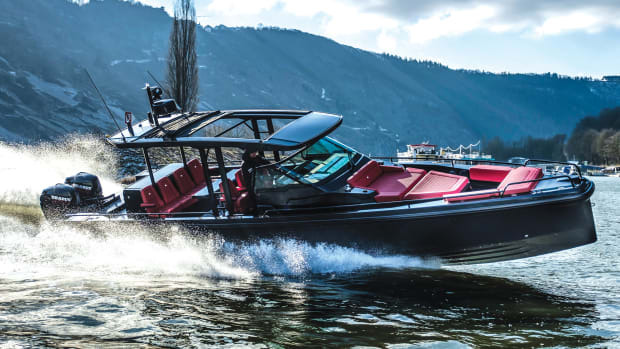 A long-awaited test of the Axopar 37 SC proves that this Finnish-built beast can turn on a dime—and give you change back. 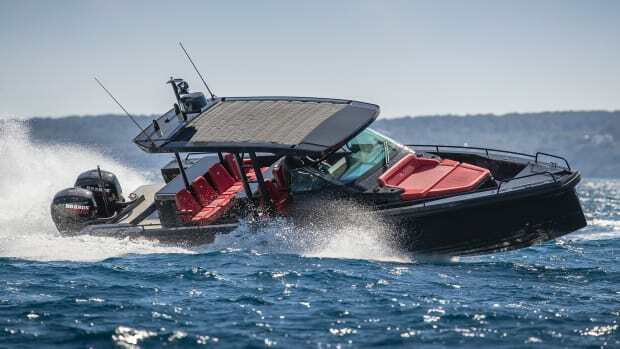 Pushing the new Axopar 37 SC to the edge in an exclusive test off Cannes. 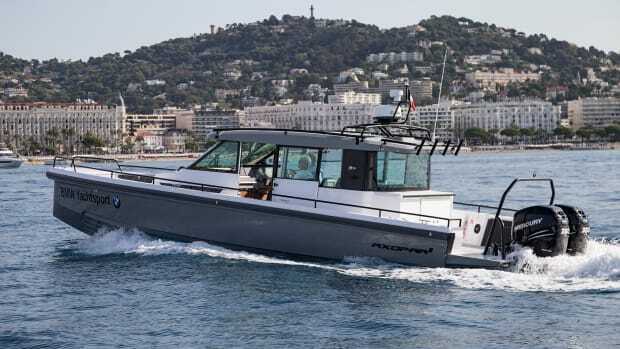 Our first look at the Axopar 37 Sport Cabin. 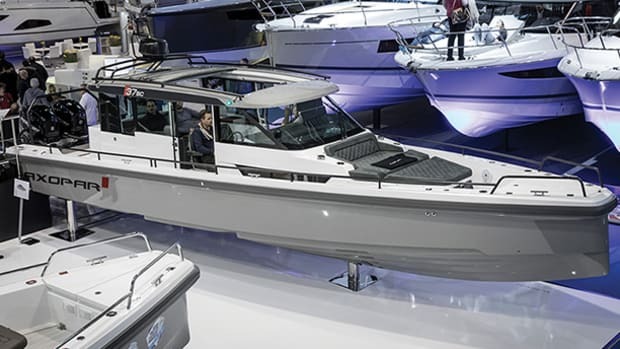 We were on hand as Axopar Boats introduced the Axopar 37 Sport Cabin at Boot Düsseldorf 2017. 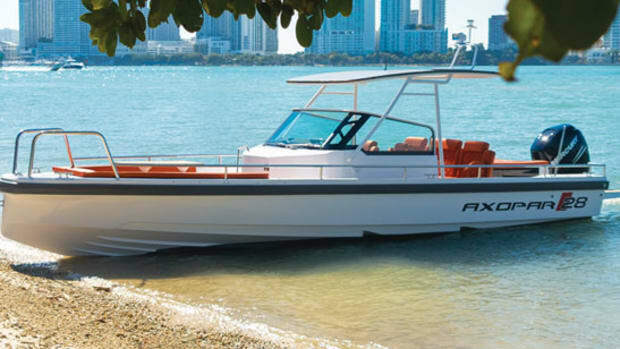 Our first look at the Axopar 37 T-Top. Our first look at the Axopar 28.